Comic artist Smuzz - whose credits include ABC Warriors for 2000AD, award-winning art for the SF magazine Interzone - has just launched his own children's book as a delightful digital edition. 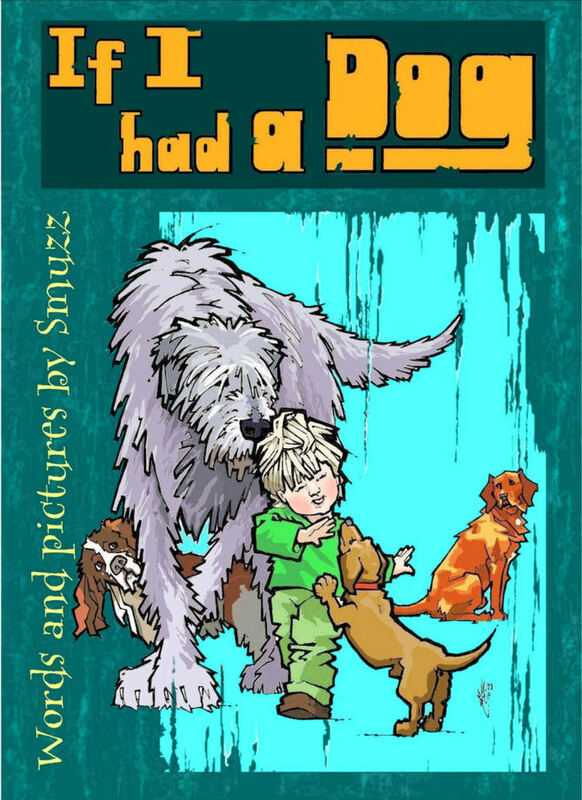 "If I had a Dog began as one of a series of drawings to entertain my four year old son in between 'serious' work," says Smuzz of the book's origins. "The book incorporates all the things most popular with him on Library visits." The illustrations are just stunning - these small samples below don't do Smuzz's work real justice - and it's a moving read. Smuzz has been an illustrator and comic book artist since 1987. He started work as Sms, but is now known as Smuzz to avoid confusion with mobile phone services. He has won two "British Science Fiction Awards" and been regularly voted best artist for the UK SF magazine Interzone and is currently working on Crucible, a comic strip with John Freeman, out in 2013. The strip has no actual dogs but lots of strange animals.